Walked past it half an hour ago. 30 foot flames coming from the building. Looked like the fire had spread to the building on the side street. Fire Brigade just arriving. Shame, that was one damn fine restaurant. wasn't it due to be demolished? Feckin hell thats a hot curry. Poor guys arse. 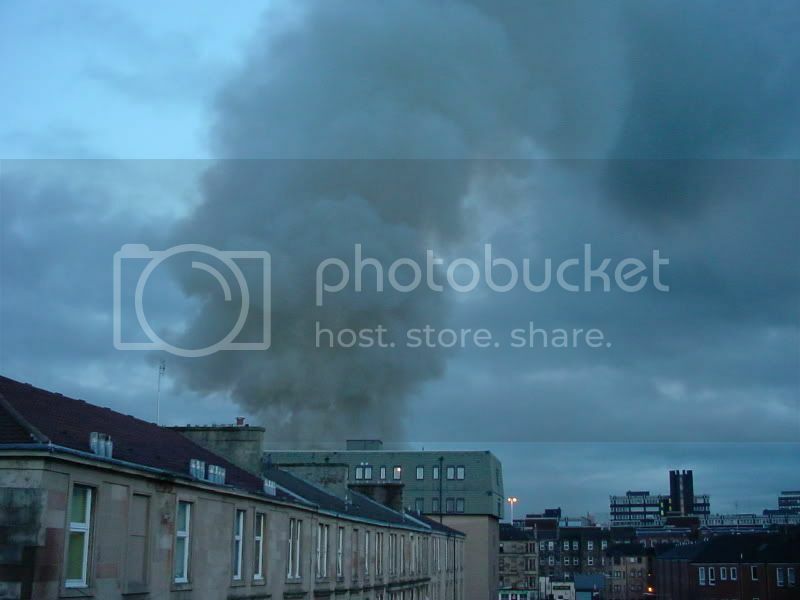 "ONE of Glasgow's best-known curry houses is to be razed as flat as a poppadom - before being rebuilt with flats above. But fans of Cafe India's spicy dishes needn't get hot under the collar - the award-winning restaurant's fare will be served at another city centre site. " All a bit prophetic, isn't it? 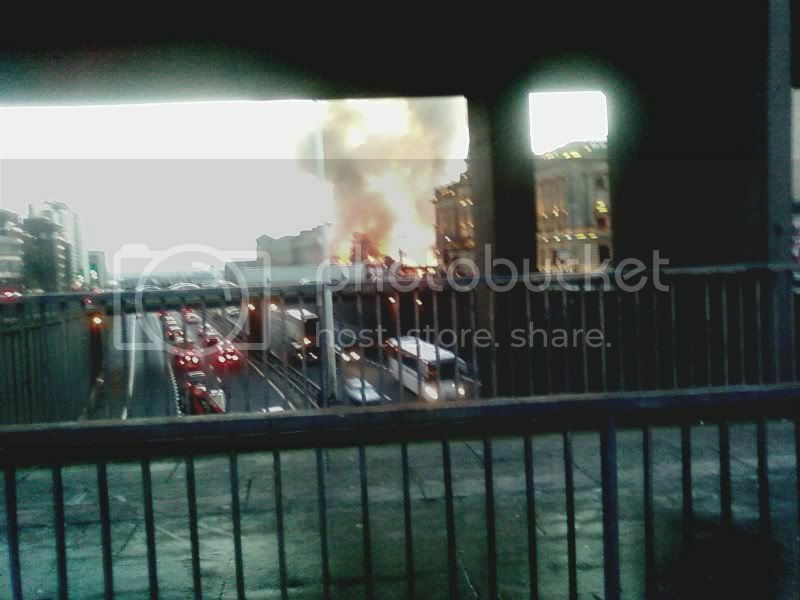 Taken whilst driving over the Sauchiehall Street Bridge at Newton Street at speed from my mobile with a Fire Engine up my arse. The place kind of blew up. I hope everyone got out in time. 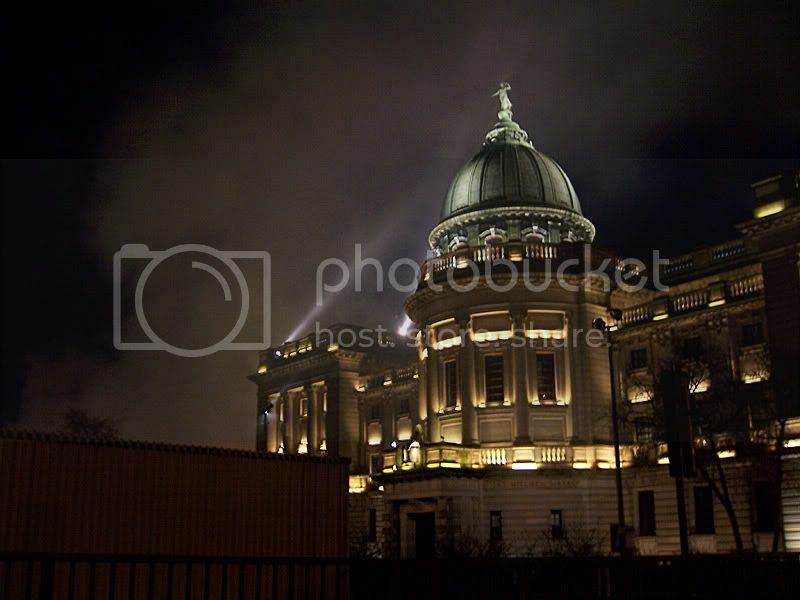 At one point the flames were pretty close to the Mitchell. It was just mentioned - albeit briefly - on BBC News 24. I don't know what they were saying as I had the volume turned down cos I was on the phone to my mum. 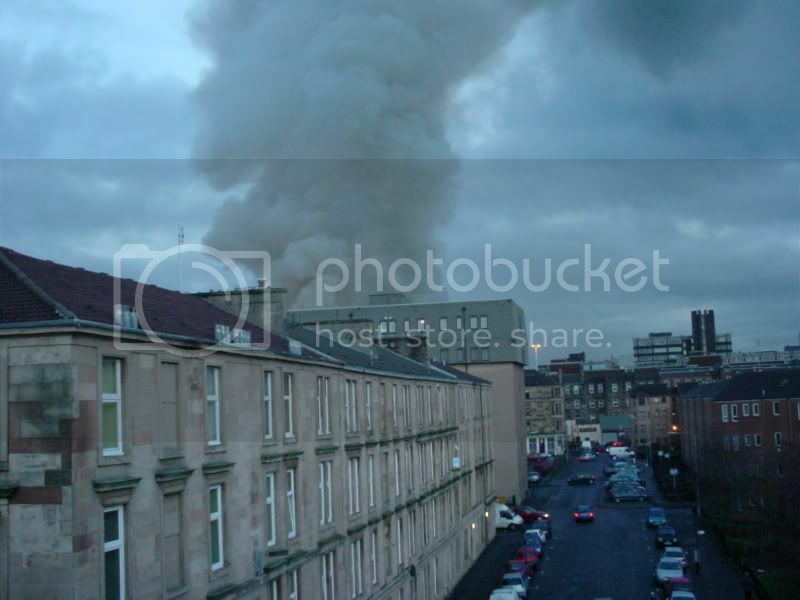 BBC News Website wrote: "The cause of the fire will be the subject of an investigation by Strathclyde Fire and Rescue and Strathclyde Police." That'll hamper their insurance claim.